The editor toolbar is only shown when the editor is focused. The toolbar location changes dynamically to ensure that the toolbar is always available. The size of the editing area is determined by the size of the content inside. Floating UI is not available for classic editor, which uses fixed UI instead. Click below to start using inline editor with floating UI. Scroll down the page to see the toolbar move. After being sent to the Moon by the Saturn V&apos;s upper stage, the astronauts separated the spacecraft from it and travelled for three days until they entered into lunar orbit. Armstrong and Aldrin then moved into the Lunar Module and landed in the Sea of Tranquility. They stayed a total of about 21 and a half hours on the lunar surface. After lifting off in the upper part of the Lunar Module and rejoining Collins in the Command Module, they returned to Earth and landed in the Pacific Ocean on July 24. Elements Path is not available — to use it in an inline editor refer to the Fixed UI and Shared Toolbar and Bottom Bar samples. Source Editing Area is not available — an alternative solution using a dialog window for source code editing should be used. Refer to the Source Code Editing sample. The following configuration options that control the size of the editor are ignored: config.height and config.width. 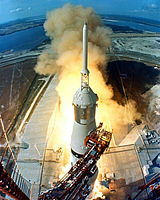 <p>After being sent to the Moon by the Saturn V&apos;s upper stage, the astronauts separated the spacecraft from it and travelled for three days until they entered into lunar orbit.